The Barony holds weekly practice in Lusby at the Southern Community Center. We have a growing contingent of rapier fighters; most nights there are four or five fighters practicing the art of fencing. If you are interested in joining us for a night, please feel free to stop by. 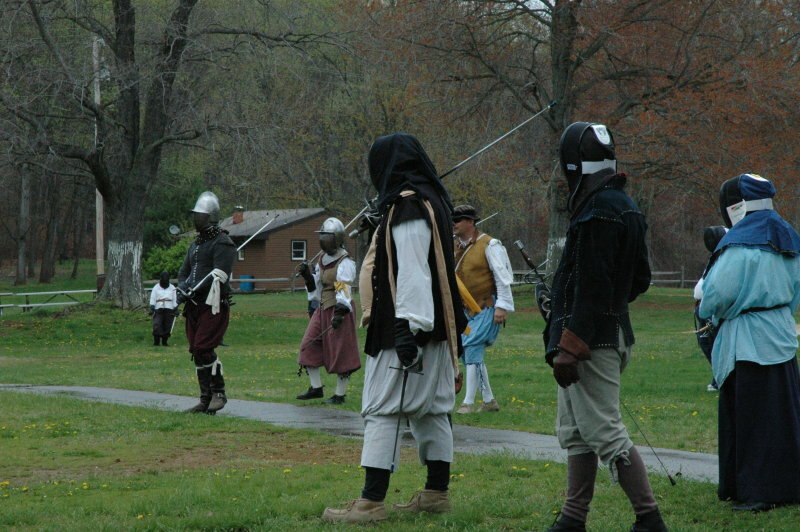 (Check out What Do I Need for Rapier Practice on the FAQ before you come to a practice.) You can also contact the Knight Marshal at KnightMarshal AT DunCarraig DOT net for more information. Below are links to sites for rules, discussion, and purchasing equipment. The sites selling arms and armor are ones that the rapier fighters of Dun Carraig have used, and have found to sell decent equipment at a decent price. If you find bad links, or have other sources to add to this list, please contact the webminister at WebMinister AT DunCarraig DOT net.